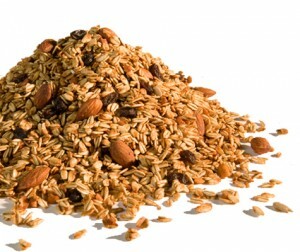 One of my favorite snacks is granola and I ate it all the time as a youngster. But I found out later, granola can be high in sugar and high in dense calories from grains and nuts! No wonder I gained weight in high school! I thought granola was one of those really healthy foods, now granted, I probably ate too much of it, excess calories is a no no. It’s so easy to gorge on granola, it tastes so good! Instead of living without it, I created my own recipe for a raw granola made from soaked/sprouted sunflower seeds. FYI- You can dry the granola in the oven on low heat if you don’t have a dehydrator. Sunflower seeds are high in nutrients like vitamin E, vitamin B’s, magnesium high in fiber and easy to digest. You can find this recipe in my book, Easy Veggie Meal Plans. In the book you’ll find directions for single servings (portioned out for men and women), in the video I made about 4 or 5 servings. You might as well make lots so you don’t have to make granola for a while. - 1/3 cup raw organic sunflower seeds, which I’ve soaked in water for 12 hours (drain water). - 1 tsp agave nectar (or you can also you use dates, raisins, or stevia). Mix all ingredients in your food processor until chunky like granola, this won’t take much time. If you have a dehydrator, grab your tray and spread the granola on the tray. Dehydrate for about 12 hours. It will dry in clusters, then scrape it off with a spatula and put it in a bag, seal it up and it will store for up to two weeks or longer. Enjoy your granola! I know I do! Do you have a healthier version of a child hood favorite dish? Share it with us! I’ve lost a lot of weight following the Craig’s TT programs. Naturally, the nutrition advice worked like a wonder. For the last three years since I started on my ‘journey’ to a healthy lifestyle, I’ve been having 3 breakfast options that I rotate throughout the week. I LOVE all three of them. One is PB on bread plus fruit. Second, 2eggs-spinach-onion-spices scrambled mixture. Third is the Quaker Rolled Oats (with raisins, flaxmeal, coconut, seeds, almonds, peanuts, strawberries, cinnamon, cocoa) with milk. Of course, all the above have absolutely NO added sugar. In fact, I don’t use nectars or honey. I just use stevia to bring out the flavor in my Flax-cinnamon-fortified home made Peanut Butter. These usually take me through the morning and I haven’t gained any weight at all while eating those. Now, you have me convinced on switching to the almond milk from Lo-Fat cow’s (although Craig doesn’t specifically says to avoid cow’s milk). However, why would I want cut out the supposedly healthy grains? I mean, I sometimes eat upto 2 cups of Dorset Muesli or Cereal instead of the rolled oats, and it contains a lot of wheat, barley and stuff. Am I eating something bad? Keep up the awesome recipes and health ideas! Congrats on your weight loss, your accomplishment is awesome! Craig has really great advice and it’s worked for you! The recipe is a healthy option to a typical granola which is typically high in sugar. Grains are not bad, it’s just that too much grains can cause a person to gain unwanted weight. So this is a way to have the same or similar flavors as granola with less sugar. In terms of milk, almond milk is an option that is easier to digest. If you choose, try it out and see how you feel. I am totally intrigued by what you do with food! I am wondering about using my oven to dry the granola concoction…I am assuming a low temperature, but am not sure what is appropriate – can you give a suggestion? Additionally, I have considered purchasing a dehydrator, and hope you can give some advice about what to look for when buying. Thanks and keep your wonderful information coming! You are opening new doors for me regarding my health! You can dry the granola at low temp. in your oven. If you want to keep the temp below 120 degrees then a dehydrator would be the way to go. An Excalibur dehydrator is a great dehydrator, it has teflon sheets, easy to take food off and has a temperature dial. you can set your own temperature. This recipe looks great. I too ate lots of granola when I was younger. I am wondering how you can dry it if you don’t have a dehydrator–in the overn perhaps? I don’t have a dehydrator. Can I dry the granola in the oven? If so, what tempature and for how long? Dry in oven for approx 40 mins. on low. Just keep an eye on it and stir it around. Jazz, yeah…it is a great tool! absolutely! I love hearing of people’s success stories. I’m so glad you enjoy my recipes. Thanks for the recipe, Kardena! I’m wondering if there is a substiture for the flax seed. I have a very difficult time digesting flax (and chia seeds), and I’m hoping you can suggest a substitute for it. Thanks! I don’t have a substitute at this time. U can just eliminate them at this time. I have been eating a lot of granola lately and I would love to try out this recipe. Only problem is I don’t have a food prcessor only a blender at this time. Can I use my blender? I know it does have a chop setting on it. Also I had been switching to Almond milk but recently I found that I liked Coconut milk alot better. Just curious as to what your opinion about Coconut milk is? I also use the raw coconut oil for cooking especially when I cook my eggs for breakfast. Also I am one of your affiliates for the Easy Veggie Meal Plan. I am still working on learning the best ways to get traffic to my affiliate link. I do plan on buying the Easy Veggie Meal plan in the future too. I was sad to have missed out on the 21 day Veggie detox with the discounted price too! This is definitely a healthier version of granola. You can use the blender, you may have to pulsate it, mix it around, then pulsate it again. With coconut and almond milk, just be careful of how much fat you are taking in. I so like fresh coconut milk. I think the coconut milk in the cartons is thicker and creamier so probably has more fat per serving. So be careful. I also use coconut oil in my dishes. 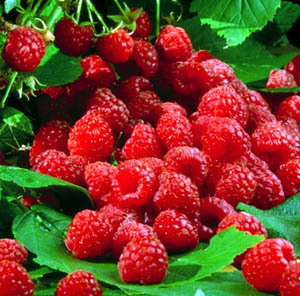 It’s really great for lowering cholesterol, balancing out fats in your body. However you still need to make sure you don’t eat more than 9 grams average per meal. once a day you could get away with around 16 grams in one meal. I have a habit of eating too much fat, so lately I cut back. I do around 1/2 Tbl. oil at a time. Thanks so much for this recipe. I made it yesterday and it was a hit with every member of my family! I made it without the raisins and sweetener and used blueberries in addition to the raspeberries. I don’t have a dehydrator, so I put it in the oven at the lowest setting (170) for eight hours. But now I am totally inspired to get a dehydrator. Thanks! I love your additions/changes to the recipe. Glad you are making it your own and that you can share with the people you love. I just noticed that you suggested to use the oven on “low” for 40 minutes. Can I ask you what temp constitutes low? 40 minutes sounds a lot better than 8 hours! I typically use the dehydrator and just let it run over night. With the oven, put it on the lowest setting and you can crack the door a tiny bit so it doesn’t get too hot. this should work great. Curious to know if you’ve tried making protein bars, I love Larabars, but they are pretty pricey. I love your recipe for the granola but how many calories does it have? I really cant’ calculate the one teapsoon of flax seed I think one tablespoon is 50 calories etc I wish I didn’t have to count calories but i do. Good question. The calories are between 325-350. This way if you are on a 1500 calorie diet, you can add a little almond milk or just eat it dry and add some berries and you have yourself a meal. Yes I have and I don’t have a powerful enough grinder. I took it to my friends house who had a heavy duty green star type juicer which could also grind and it worked awesome! Yes you can make the same exact kind as Larabars & save some $$.